Several health insurance and hospital associations urged HHS to spike the proposed rule to expand access to short-term, limited-duration health insurance, warning it would lead to higher premiums for Affordable Care Act-compliant plans and more uncompensated care delivered at hospitals. Meanwhile, stakeholders in the short-term insurance market encouraged HHS to finalize the proposed rule allowing the sale of short-term plans with durations of up to 12 months, saying the extension would lead to lower premiums and more options for consumers. It is clear those stakeholders would see more customers and higher revenue if the proposed rule is finalized. National insurer Aetna, whose CEO previously said he was ready to capitalize on the Trump administration's proposal, wrote in a comment that short-term medical coverage could be a valuable option for individuals, but urged HHS to add some consumer protections to the typically skimpy policies. The groups were commenting on the Trump administration's February proposed rule that would reverse an Obama-era rule that limited short-term medical policies to less than three months. Those plans offer narrower, cheaper coverage than the health plans found on the ACA exchanges because they do not have to comply with rules that prohibit plans from denying coverage for people with pre-existing conditions or charging more based on a person's health. The plans also don't cover the ACA's 10 essential health benefits. In the proposed rule, HHS also asked for comment on whether short-term policies should be renewable. The agency received nearly 8,000 comments on the proposed rule, many of them echoing health reform experts' concerns that allowing short-term plan policies to last for up to a year, coupled with the repeal of the individual mandate penalty in 2019, would draw healthy, uninsured consumers and people now enrolled in the ACA exchange plans, leaving the larger individual insurance market worse off. Most groups agreed that short-term plans should not be marketed as an alternative to ACA-compliant coverage. Writing to HHS Secretary Alex Azar, leading insurance industry lobbying group America's Health Insurance Plans said more short-term policies would reduce access to affordable comprehensive coverage both on and off the ACA exchanges. The trade group stressed that short-term plans should not be treated as a substitute for long-term coverage. 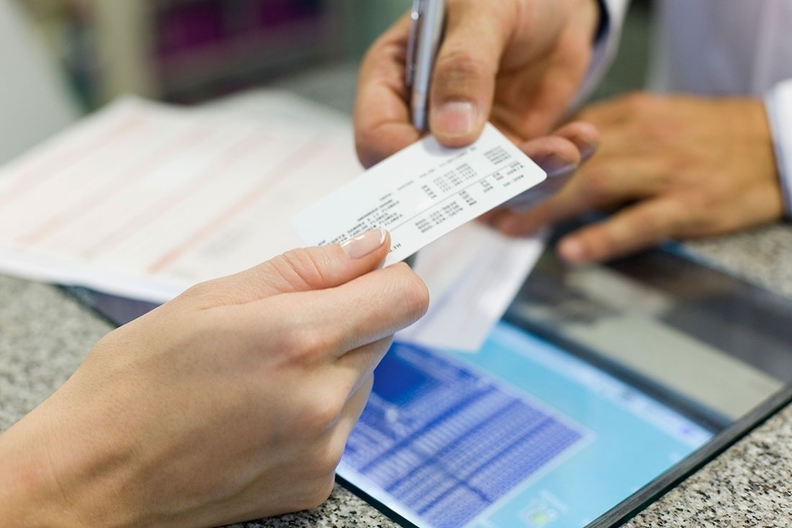 "Policies that disproportionately draw healthy consumers away from the individual market, like expanding access to short-term plans, will likely have an even more devastating effect on affordability, choice and competition," AHIP said in a comment, adding that the proposal would likely drive up premiums for many people, especially those with health conditions who wouldn't have access to a short-term plan. AHIP recommended that HHS permit short-term plans to last up to six months, rather than 12 as proposed, saying that some consumers do need a policy that runs longer than three months when they are in between jobs. However, the Alliance of Community Health Plans, which represents not-for-profit, regional plans, said in a comment that HHS should stick with the existing 90-day limit on short-term plans. Allowing the plans to last up to 12 months would destabilize the individual market and health insurers would flee, according to the ACHP. "As healthier individuals choose to purchase short-term, limited-duration plans, the high costs of care for enrollees with serious, acute illness or injury and chronic conditions will lead to unsustainable losses that will force insurers to leave the individual market altogether," ACHP said. Likewise, the Association for Community Affiliated Plans, a group representing safety-net plans that cover Medicaid, Medicare special-needs and marketplace members, warned that finalizing the rule as proposed would harm consumers and healthcare providers. The group warned that sellers of short-term plans have been known to rescind coverage as soon as an individual becomes ill and files a substantial claim. The space has been riddled with patient lawsuits over unpaid medical bills. ACAP pointed to the recent 42-state investigation into the business and marketing practices of Tokio Marine's HCC Life subsidiary, a short-term medical insurer. Earlier this month, HCC Life reached a settlement to pay a fine of $5 million. The insurer is also prohibited from selling short-term plans for at least five years. ACAP also warned that skimpy short-term plan benefits would lead to increased uncompensated care. The American Hospital Association and the Federation of American Hospitals said the proposed rule, if finalized, would drain hospitals' resources. The federation, which represents investor-owned hospitals, said its members "are concerned that the result will be increased uncompensated care, particularly for patients who need uncovered services or treatment for preexisting conditions." The AHA similarly said that hospitals stretch resources to provide service to anyone in need, but "those resources are not endless." The group said hospitals provided more than $38.3 billion in uncompensated care in 2016, and cannot bear the cost of providing care to the uninsured and under-insured. The groups feared that young, healthy individuals would be attracted by the lower premiums that short-term plans offer without understanding the drawbacks, including the many benefit exclusions and the absence of other consumer protections. Several analyses have projected that premiums would increase and enrollment would drop in the individual market. The left-leaning Urban Institute projected that 4.2 million people would enroll in expanded short-term plans in 2019, while ACA-compliant plan premiums would increase 18.2% in states that don't limit short-term plans. And HHS said it expects about 100,000 to 200,000 people to switch from the ACA individual market to short-term plans. Most of the insurer and hospital groups requested that HHS implement the proposed rule no sooner than 2020 to give states more time to adapt and build the effects of the expanded short-term plans into insurers' rates. They also opposed allowing the plans to be renewable at the end of a policy's term. The groups also agreed that states should be allowed to keep regulating the plans more stringently than the federal rules do. On the flip side, sellers of short-term plans generally supported extending the maximum duration of short-term plans to up to 12 months. Aetna, too, supported the expansion of short-term plans but suggested adding some consumer protections. Aetna does not now offer the plans, but its CEO Mark Bertolini told investors in October that it would consider re-launching a pre-ACA product it had for consumers in transition. Aetna recommended the government allow short-term plans that end in the middle of the year to continue until the end of the year to ensure consumers have continuous coverage until the next ACA open enrollment. The insurer also suggested prohibiting plans from denying claims based on medical treatment received more than a year ago. It also recommended limiting policy rescissions to instances where an enrollee omitted information in an application for coverage. Finally, Aetna urged HHS to create a minimum coverage guarantee, which would include coverage for inpatient hospital services, physician services, mental health and substance abuse treatment, and one annual physical and well-woman exam before reaching the deductible. Adding those benefits would likely increase the cost of short-term health plan policies. Agile Health Insurance, a web-based private exchange that has enrolled more than 200,000 people in short-term plans since 2015, said finalizing the proposed rule would increase access to affordable health insurance without harming the ACA individual market. Agile said it and other insurers could implement the rule change immediately. The IHC Group, a leading short-term medical insurer, suggested that short-term plans could be sold for longer durations under a 12-month policy with an option to "rewrite" at the end of the term. Insurers could opt to waive pre-existing conditions and underwriting for the new 12-month period. IHC Group also recommended that state insurance departments come up with an interstate compact that would allow short-term plan insurers to formulate one standardized policy filing that would be effective in many states. "We agree with the departments that in 2019 there will be many who are uninsured and a short-term medical plan at its affordable rate offers far superior coverage to no plan at all," according to the IHC Group.